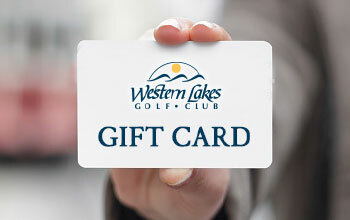 Holiday Gift Card Promotion Western Lakes Golf Club W287 N1963 Oakton Rd. 27novalldayHoliday Gift Card PromotionBuy 1 - Get FREE Gift Card for Yourself! $50 – The perfect gift of golf! Limit two cards per household. Cannot be used to purchase memberships, junior golf programs, league dues or golf outing & banquet payments.